Grateful thanks to 'AboutMyArea' for this report. New Planter installed at Neston War Memorial commemorating 100 years of the The Somme. 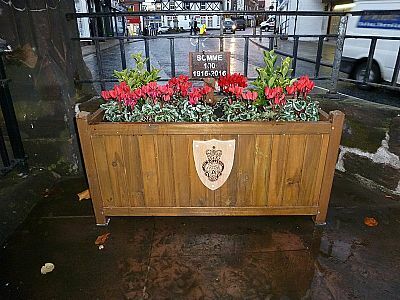 The planter has been donated by Ann Dodd, member of Neston Royal British Legion in memory of her husband Russel. Our town War Memorial was enhanced on Sunday with poppies and evergreen for Remembrance Sunday the eighth of November and Wednesday the eleventh Remembrance day. The display was created by our 'Flower Fairies' and what a wonderfl job they have one, well done ladies. 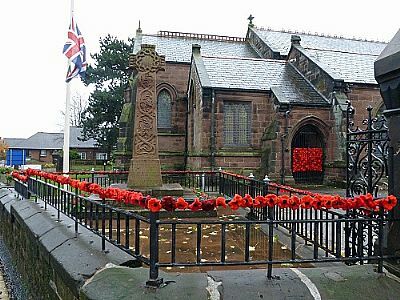 There was also a fine display of knitted poppies organised by 1st Ness Guides and Brownies which adorn the railings that surrounds the memorial and the North Door of the church. Our sincere thanks to all who were involved.